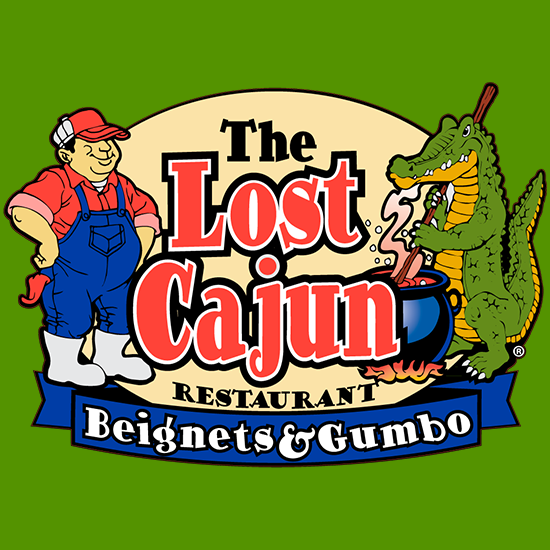 Amarillo restauranteur, Mike Fogiel, is the proud franchise owner of The Lost Cajun’s 13th location. The restaurant opens late 2017. And the food, we’re talking po-boys, gator bites, beignets and more, proudly served by a full-service wait staff, is amazing! And if you don’t know what to get, don’t worry, each table gets complimentary sampler platters—small bowls of seafood gumbo, chicken and sausage gumbo, lobster bisque, red beans and rice, crawfish etouffee and jambalaya. Mike was so impressed with Raymond Griffin’s (the restaurant’s founder) story and the food that he’s bringing it to Amarillo. Hi, I’m Raymond Griffin, “The Lost Cajun” from Barataria, La. and to answer the question, I usually tell people that I got drunk and got lost! The truth is that Belinda, my late wife, and I had dreamed of living here in the Rockies and opening a little Gumbo shop for years. For 15 years we owned and operated a fishing lodge in Louisiana – Griffin Fishing Lodge – then came Katrina, then Rita, then Ike and Gustav and on top of all that, the big oil spill… What a mess! It was hard to leave but we just had enough! The first little Gumbo shop opened in October of 2010 in a tiny building on Main Street in Frisco, CO. People just love the down-home atmosphere and the authentic Cajun food. It was so popular that I needed to expand and a lifelong friend named Jon Espey, from Alabama, came up for a visit, fell in love with the Rockies and stayed! We opened our second location in Breckenridge in July of 2012. Jon has the same passion and love for all things Cajun, especially the food, which I have and together we have re-created a true Cajun dining experience! Our gumbos take 4 to 6 hours to cook, like all of our special dishes, red beans and rice, crawfish etouffee and lobster bisque, there are no short cuts, and it’s got to be cooked slowly, with a lot of care! Our seafood is like none that you have ever tasted and the Beignets are just like the ones you get in New Orleans – maybe just a wee bit better! Stop in and try some of our free samples and you’ll see what I’m talking about. As we say in Louisiana, “make a pass” and say hello, feel the down-home atmosphere and “pass a good time!”.